Fiber cement siding has become a popular building material over the years. Many builders and homeowners have realized that this exterior siding option brings a variety of benefits over traditional siding materials. Be it a new or a remodeling project, fiber cement siding is the sensible choice for home improvement. Fiber cement is built to last for decades. It has superior dimensional tolerance and stability to hold up well against harsh weather conditions. This building material is not combustible; the composition of fiber cement makes sidings resistant to fire despite exposure to a high level of temperature. Unlike other siding materials, fiber cement is sturdy against high impact. It is also impervious to termite infestation and moisture penetration. These great qualities speak of fiber cement’s longevity, which you would rarely find in other siding materials. Fiber cement is the key to bring out the best of your exteriors. It resembles the timeless appearance of brick or wood, and may also come in glossy finishes. This material also has high versatility in design, as it is available in a variety of textures and colors. The dimensions of the boards can be tailored to suit your preference and give your exterior walls a distinctive look. 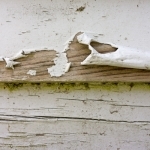 This siding material is low-maintenance. It’s not prone to cracking, splitting, warping, and fading over time. 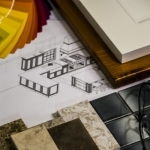 This means the impressive look of your exteriors would hardly change over time. Fiber cement holds paint as well, freeing you from the troubles of annual repainting jobs. The upkeep of fiber cement costs significantly less as compared to other forms of exterior siding such as wood, vinyl, and natural stone. As this material is hard-wearing and almost maintenance-free, you can save a large sum of money for upkeep and repairs in the long run. Fiber cement makes for a sensible choice for your siding project. It would protect your home from virtually any kind of threat and give your exterior a uniquely stylish look. 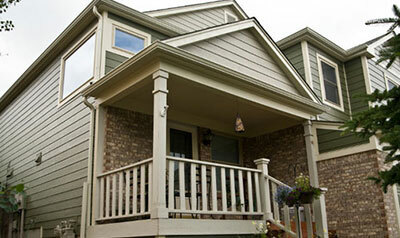 Lakeside Exteriors specializes in fiber cement siding for St Louis homes. We believe there is no better siding option that has the same advantages or value for money. Contact us today for any inquiries or to send your request for a free consultation.